t’s not unusual for designers to form a relationship with one vendor and stick with them throughout their career. All designers have their favorites, though some like to share the wealth. If you have a large firm that does plenty of business, it’s healthy and often economically feasible to use different companies for different shows. But for smaller regional designers, the best bet is usually to keep with a certain company that cares about your needs. One where your needs are met with the same respect and unconditional care that a larger company may reserve for its larger clients. These two companies have forged that type of relationship. But as the Legacy Production Group has expanded at an unprecedented rate, they still adhere to their roots and acknowledge that no show is too small not to give it your best. Dan Zunker has been producing various events for quite a few corporations over many years. Over the course of one year he may have several events with just one of his clients. 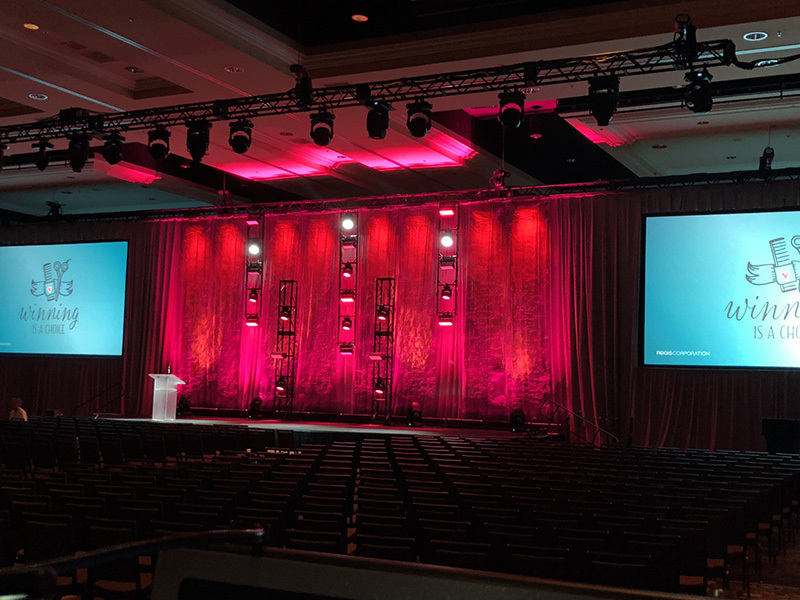 On many occasions, Zunker may have six months to design and pull together everything technically necessary to pull off these corporate events comfortably. On the other hand, the corporation turns to his company because, in cases such as one recent show, he was only given a six-week lead time from initial phone call to loading in the event. Zunker owns some production gear of his own, but usually needs to augment it with other vendor’s equipment. Being a Minnesota native, he’s well aware of the regional as well as international vendors he can rent gear from. But he chooses to utilize someone in his own backyard whenever he can for his events. That would be Legacy Production Group in Minneapolis. 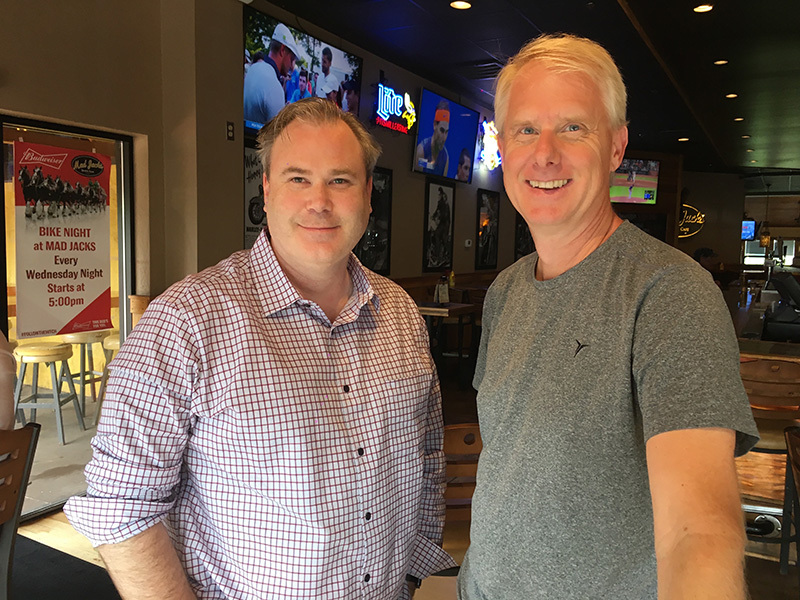 So, with a short window for an upcoming show, the first thing Dan did was contact Tom Gorman, one of the principle owners of the company, to set up a meeting. Zunker grew up in Faribault, MN and started working in the biz when he was 16. “I did lighting in clubs for local bands and did some time at (Prince’s) Paisley Park as well. 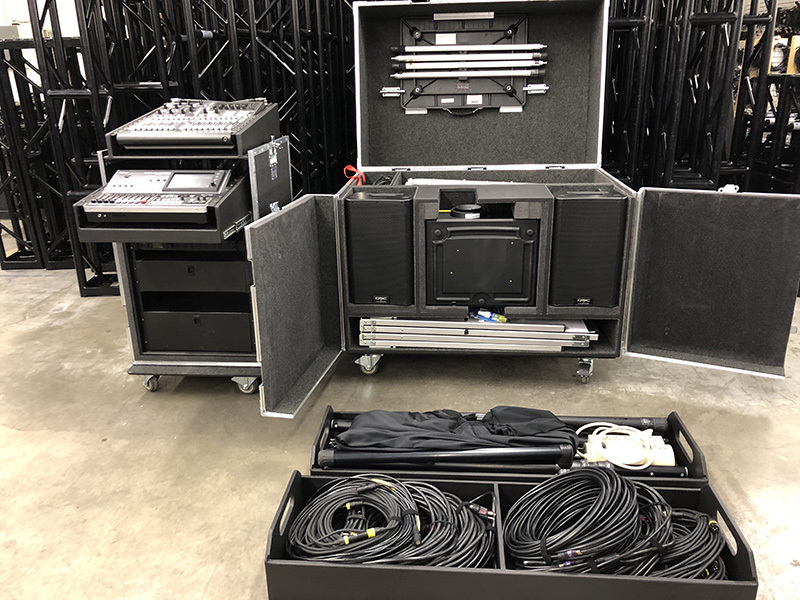 I worked with local lighting and audio companies and eventually worked my way up to be a production manager.” Around 1990, he started working on corporate gigs and expanding his network of friends and clients. Seven years ago. he started his own LLC. Talking about his client, he notes, “Some of the folks that hire me have two divisions, the franchise and the corporate areas. They do several events every year. For some small ones, it’s just myself showing up with some audio and video gear for business meetings. Then we may do the larger events about twice a year on average. For some shows they combine the two. The corporate and field leaders come together for planning and recognition. 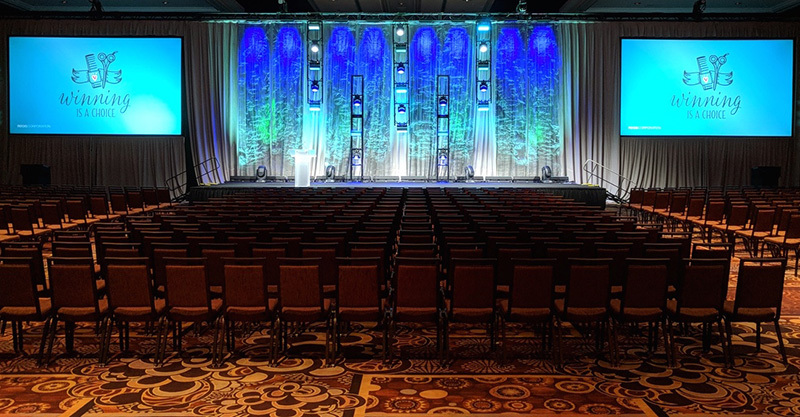 This usually includes opening ceremonies, general sessions and the awards banquet.” It also calls for multiple separate breakout rooms, a production in itself. For more, visit www.zunkerproductionservices.com and www.legacy-pg.com.